There is a lot of hostility to migrants and movement just now. Sometimes it is cloaked beneath talk of security. Increasingly it is rank bigotry. In the struggle against aggressive nativism, I offer … Sandii and the Sunsetz. Yes, really. Sandra O’Neale was the child of a Japanese mother and an American father, a Navy man. She grew up in Japan and later Hawaii. There she became passionate about the dance and music of Polynesia. Returning to Japan in the 1970s, she became a DJ and performer, part of the emerging techno scene, collaborating with the likes of the Yellow Magic Orchestra. In a range of bands and under different names she recorded and performed an eclectic mix of styles and traditions. It was as Sandii and the Sunsetz that she had her one hit in Australia, “Sticky Music”, in 1983. It probably counts as the first example of J-pop making an impact in the west. Indeed, apart from Yoko Ono, Sandii must be the first Asian woman to enjoy mainstream success here. It often happens on Planet Vinyl: artists I know only for one or two songs turn out to have unsuspected depth and range. “Sticky Music” is a clever pastiche, full of sly irony. This completely missed me (and, I suspect, almost everyone else) in 1983. It is not representative of Sandii’s work, though – indeed nothing is. Eclectic is the essence. A daughter of different cultures, she borrows from everywhere and anywhere. Have a listen to this B-side, “The Mirrors Of Eyes”. It is a subtle, low-key mix of percussion, vocals and (guessing here) Japanese stringed instruments. It is mysterious, engaging. Sandii is still with us, performing and teaching dance. She is witness to the good which comes when people are allowed to travel, to love who they wish to love, to move between cultures, and express themselves freely. The key to appreciating the music of Hawaii? Ignore the kitsch album covers. Pay no attention to the palm trees, hula girls, frangipani and bright shirts. As Hawaiian LPs go, this one actually isn’t too bad: just a murky sunset. Lame, rather than loud. Even more important: do not read the sleeve notes, which belong to the same genre as try-hard travel brochures. I did tell you not to read it. Ignore all that. Just listen. This record is cocktail-hour, hammock-sway stuff, skillful and restrained mood music by the Maile Serenaders, which was a floating collective of some of Hawaii’s best musicians of the 1950s. On Evening in the Islands they do laid-back versions of island standards, including this one, “White Ginger Blossoms”. It is actually a bit hard for an Australian to get misty-eyed about White Ginger, which is listed under the Biosecurity Act (2014) as “a restricted invasive plant”. It is, in other words, a declared noxious weed. You might as well sing romantically about Kudzu Vine, or Prickly Pear. But a lovely tune, even if it is about a weed. Do they still have elevator music in elevators? Do they still have elevator music in elevators? I live in a provincial town. In my workplace there are few lifts (which is what we call elevators in Australia) and anyway I usually take the stairs. But when I do go to the big smoke and catch a lift in an office tower, there is no music. Silence, and the faint hum of (hopefully reliable) machinery, reigns. This is a welcome change. When you caught a lift, not so long ago, they would inflict on the passengers what, even in Australia, was called “elevator music”. This is the sort of thing I mean. That was Wout Steenhuis and Peter Schilperoort with their take on Procal Harem’s “Whiter Shade of Pale”. Now, I mean absolutely no offense here. 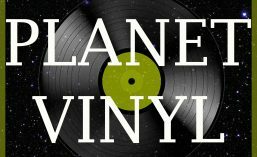 On Planet Vinyl we believe that it is always a good thing that people make music, and if they can get paid for it, so much the better. Wout and Peter were both Dutch musicians, jazz instrumentalists. Making a living from jazz in post-war Holland cannot have been easy, and if recording this sort of thing helped pay the bills, I have no problem with that. The Planet Vinyl rule is to just listen, with an open mind. But you only have to do it once. And I honestly don’t want to hear this track again. But there is elevator music, and elevator music. The track from Steenhuis and Schilperoort comes from one of the samplers which many labels produced in the late 1960s and early 1970s, hoping to persuade listeners to upgrade to stereo. Stereo Galaxy, it was modestly titled, and promised “A New World of Quality Sound”. Fitting the space theme, the opening track is a version of “Thus Spake Zarathustra”, the brass-and-kettle-drum fiesta by Richard Strauss, which had been adopted as the theme to the movie 2001 – A Space Odyssey. But the record quickly settles down – well, into elevator music. Tightly-played, over-sweet arrangements of well-known tunes. But while riding the Stereo Galaxy elevator, one track stood out for me. Elevator music, yes, but … There was “a certain something”. Faint praise given the competition, but still. It stood out. There was something there. And so I have discovered the Hawaiian music of Basil Henriques. If that does not sound a particularly Hawaiian name, you are onto something – Baz did not hail from Hawaii. He was an Englishman, who fell in love with the Hawaiian pedal steel guitar as a teenager. Henriques became small-big, playing regularly with a group called the Waikiki Islanders (none of whom came from Waikiki) at a nightclub in Birmingham, which was called (not making this up) Kastaways. Band photographs of the Waikiki Islanders show them, shivering and white, in kitsch Hawaiian outfits. But music is the universal language. It crosses cultures and times. And the spirit of music will out. Basil, the pale lad from Birmingham, could play, really play, the Hawaiian pedal steel guitar. This guitar is the uilleann pipes of string instruments – demanding to the point of insanity. Henriques mastered it, and went on to teach and inspire others, such that he was formally nominated for inclusion in the Steel Guitar Hall of Fame, a most unusual thing for someone not from Hawaii. He has not yet been included, but that serious steel peddlers think he deserves to be considered in the company of Sol Hoʻopiʻi is high praise indeed. I doubt that this track is Henriques’ best work – its is flattened out to fit into the elevator – but there is musicianship there that shines. If I was to be stuck in a lift, this is the music I would like to listen to. This record, and hundreds of others, is for sale on Discogs. I will admit to having low expectations when I picked up this single. The name Jive Bunny, and the image of said bunny in a Hawaiian shirt aboard a Polynesian war canoe – not promising. Apart from anything else, rabbits are a major pest in Australia. Anyone who grew up in a rural area here, and has seen the damage they do, absolutely hates rabbits. More to the point, I vaguely remembered Jive Bunny as an early exponent of the sample: pinching fragments of music from various places, chopping them up like veggies in a food processor and producing something new. Often, vegetable goop. The folk purist that once I was frowned on such practices, and though I have long moved on the ghosts of old prejudices die hard. Jive Bunny and the Mastermixers, to give the full name, was a partnership between a radio announcer, Ian Morgan, and the owner of an electrical appliance store, John Pickles. They got together in the UK in the late 1980s, and put together sampled sounds over a driving disco beat. Old hits, chopped and pickled, you might say. But Planet Vinyl is all about getting past pre-conceptions, and frightful covers. Just listen! And I did, and there is actually a lot to like about Jive Bunny. The A-side, “That’s What I Like” is a parfait of rock tunes built around the theme to Hawaii Five-0 (hence the shirt and war canoe). It is a bit silly, but undeniably fun and danceable. That is all it sets out to be, and it succeeds. I prefer the B side, though, which has less clowning and hangs together better. It features the John Anderson Band, a swing outfit which worked the dance circuit playing Glenn Miller numbers in the 1980s. “Pretty Blue Eyes” is a tight, swing number, discoed up a bit, and it is fun and danceable, and avoids the cheesiness of “That’s What I Like”. Don’t think critically: just jive, bunny. A little while ago I wrote about the Pizza Principle: do not judge the music of a country by the pizza named after it. The principle applies most obviously to Hawaii, where tourist clichés obscure a rich musical tradition. Discovering the wonderful steel guitar playing of Sol Ho’opi’i inspired me to be more open minded to Hawaiian music. taboo – primitive superstitions of an island volcano, woven into eerie lush tropical sounds. As the ear listens, the mind conjures ancient Hawaiian rituals, the days of Queen Lilioukalani’s monarchy, and then the Hawaiian Islands as they are today … Cosmopolitan Honolulu symbolises the impact of the white man on the island paradise, or more correctly, perhaps, the impact of the island paradise on the white man. Astonishingly, someone would have been paid to write this tosh. But ignore it, and the bubbling lava on the cover. There is some terrific music to be enjoyed. This is an extraordinarily inventive and engaging record, Taboo, by the Arthur Lyman Group. Lyman, the father of Exotica as he is sometimes called, was a native Hawaaiin who played the vibraphone and a heap of other instruments which involved hitting things. He put a Pacific Island touch to jazz, and generally mucked around with strange instruments and sounds. You would expect a jungle kitsch mess, but it isn’t. Lyman was a skilled and imaginative musician, the sounds he and his band members produced are unique and absorbing. The LP Taboo was released in 1958, and was a major hit, reaching the top ten in the United States and staying on the charts for more than a year. This is the title track. Forget the nonsense on the sleeve, and just listen. I live in Australia. Here we think of Hawaii, if we think of it at all, as a set of clichés. Big waves, hula dancing, colourful shirts – oh, and pineapples. I don’t know if they have them anywhere else, but in Australia you can order a thing called the Hawaiian pizza. This is basically a capricciosa with the addition of diced, tinned pineapple. There are worse things to put on a pizza, but I can’t think of them off the top of my head. But you shouldn’t judge a country by the pizza named after it. I hope not, anyway – there is a thing called “the Aussie pizza” which I can’t even bare to describe. Eggs are involved. Anyway, beneath the kitsch, Hawaii is a fascinating place, an amazing melting pot of cultures with a rich musical tradition. As is true in a lot of places, it was the people at the bottom of the social pile – native Hawaiians and immigrant labourers from China and India – who were the innovators. Lots of great music came out of Hawaii in the 1920s and 1930s, which is pretty amazing when you think about it. The place didn’t have a big population, it was under American control but not yet properly part of the United States – that happened in 1959 – and it is thousands of miles from anywhere else. A big player in this cultural flowering was Sol Ho’opi’i, a native Hawaai’in, born on the island of Honolulu in 1902. He was one of the pioneers of the distinctive Hawaiian steel guitar sound. That sound has itself become a cliché, overfamiliar. One of the rules, here on Planet Vinyl, is that we forget what we know. Put out of your mind all your preconceptions about Hawaii and its music. Imagine that is is 1938, and you are at a party, and someone cranks up the portable gramophone. Now, just listen.